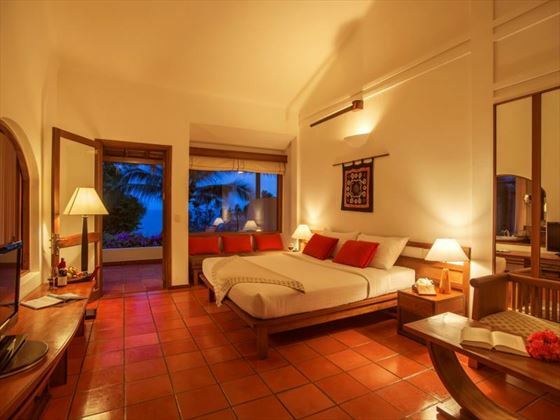 There's nothing better than being spoiled for choice whilst experiencing southern Vietnam which is why the facilities, accommodation and surrounding attractions of Victoria Phan Thiet are just perfect for visiting couples and small groups. With spa services, swimming pools and watersports all just steps from your sand dusted bungalow you're bound to find numerous ways to spend the day and thanks to an organised kids' club there's plenty for all the family to get excited about. Thatched roofs, swaying palms and traditional fishing villages present a quintessential glimpse at beautiful south coast Vietnam and if you're hoping to rest, relax and soak up the sunshine you'll have an amazing time. Situated on Vietnam's southern coast, just four miles north of Phan Thiet, around 140 miles north of Ho Chi Minh City and right opposite an 18 hole golf course. 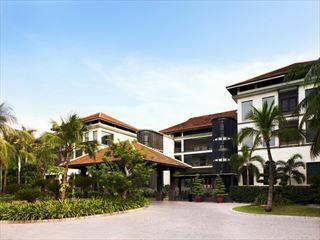 Tan Son Nhat International Airport is approximately 120 miles from resort and takes just under four hours by car. Garden View Bungalows – spacious and comfortable accommodation with tiled floors and choice of double or twin beds with French windows which open out onto a private outdoor terrace. Beach Front Bungalows – same size, style and features as Garden View Bungalows with the addition of instant access to the beach. Family Bungalows – larger than bungalows mentioned above with wrap round windows and additional sofa bed. 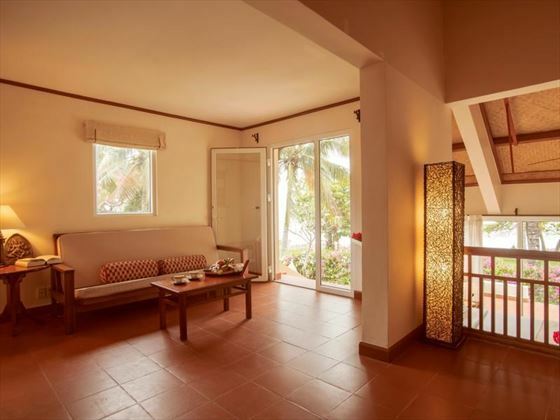 Deluxe Sea View Bungalows – larger than Family Bungalows with one king-size bed, sea facing patio area and traditional indoor and outdoor furniture. 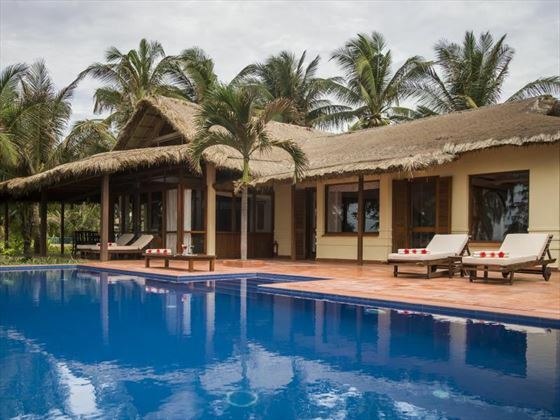 Private Pool Villas – double the size of Garden View Bungalows with one king-size bedroom, four bed second bedroom, living room and private pool with ocean views. Family Pool Villas – the largest property in resort with upgraded amenities and complimentary massage, laundry and cocktail services as well as spacious indoor and outdoor living and dining areas. L'Oceane Restaurant – local and international menu items served all day long whilst overlooking the ocean from an indoor and outdoor setting. L'Oceane Bar – cocktails, snacks and drinks served adjacent to the restaurant. 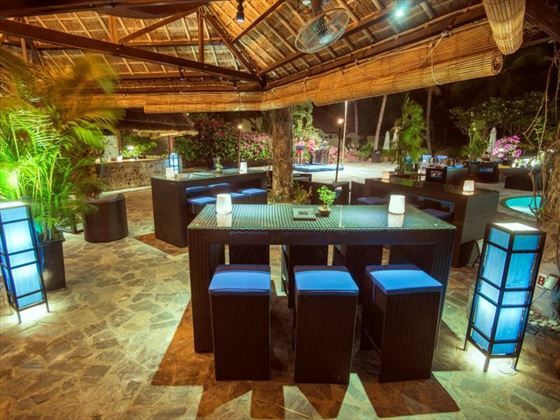 La Paillotte Restaurant – appetisers, wines and live entertainment conjured up next to the pool. Watersports and beach activities, including: body boarding, volleyball and petanque. Victoria Kids' Club – organised fun, crafts and games for those aged two years and over. 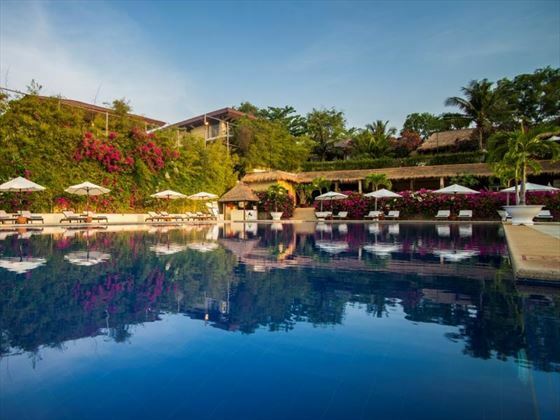 Sitting on the south-eastern coast of Vietnam, this stylish and charming resort shows off a different side to the country with tasty food, comfortable accommodation and some of the finest scenery you'll find anywhere. 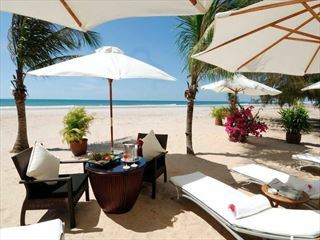 Brimming with classic Vietnamese charm, Anantara Mui Ne resort is a seaside retreat offering a luxurious base from which to enjoy the gorgeous coast of this amazing destination. Indulge with spa treatments and oceanside dining for a relaxed holiday to remember.